Look past the pretty pictures you see. 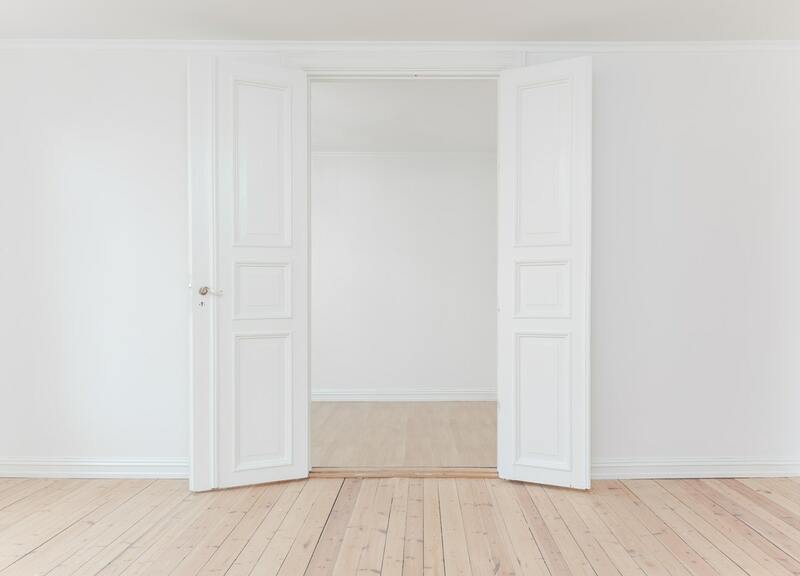 Anyone can be wowed by an amazingly styled home, but once all the furniture and decorations are removed, all that’s left are the bare bones of the home—which should be your main focus. Look past the beautiful furniture and into the layout, size, and placement of each room and imagine yourself living there. Your 5 senses will help you. Get those eyes, ears, nose and hands to work. Do you pick up a musty smell that may signal damp? Look at walls closely and you might see small cracks. In the bathroom, listen intently to the sound of water dripping. Those smalls things you can see might be signs of serious home issues you might not catch if you’re not paying close attention. Check the roof before going inside. Is it in good condition? Is it rusty? Are the gutters clean? And once inside, check the ceilings of every room and look for signs of damp. Leakage issues are hard and costly to fix. If you don't notice these issues until you own the house, it’s too late. Pay more attention to the kitchen and bathroom. The kitchen and the bathroom are the most used rooms in a home and when buying a home, you should pay a little more attention to them. Aside from their condition, look at their designs—do they fit your taste? If not, are you able to live with them or are you able to spend money on renovations? Remember that renovations money, even if the rooms are in good condition. If you don’t have the budget to renovate, make sure that you’re happy with how the bathroom and kitchen look like before deciding. It won’t hurt to ask. Don’t be afraid to ask questions about the home, its maintenance schedule and the costs of running and maintaining it. How much do utilities like electricity and water cost, how much does the pool cost the current owners to run? What parts of the house need repairs, if any? What repairs and renovations have the current owners already done? It’s important to ask these questions so that you’ll know what to expect and how much you will need to budget to maintain the property. Don’t take a building and pest inspection for granted. Inspectors are trained to look for flaws and issues you might not see as a problem but can cost a lot to repair down the track. If the home you really want has some structural or pest problems but you still want to buy it, at least you will know if you need to budget for any repairs. If you aren't sure who to use for this, just let us know and we can recommend someone that can help. Don’t stop inspecting even when the open house is done. This might sound excessive but you should check out the home and its neighbourhood at different times of the day and week—you might not expect what you’ll find out. Make sure to go during good and bad weather if you can to see how the home will handle it. Check out the neighbourhood. Who are your neighbours? Is there a bar around that could blast loud music till early hours? How are the surroundings? Are the nearby areas clean? What is the crime rate? If you have kids, how is the local school? These are things you should also take into consideration before deciding on which property to purchase. Making sure that you purchase the right home, is so important. If you need some more advice or want to see some of our homes, you can always contact us.